Empower SCI is expanding! On June 9th, our West Coast Pilot will launch at the University of Montana in Missoula. The one week pilot will mirror the two week format that has been successful on the East Coast. Please continue to read below to learn more. Please do not hesitate to contact Carrie Callahan at ccallahan@empowersci.org for further details regarding either summer program. Team members involved in the Empower SCI model include the following staff members. These individuals will not only provide formal therapy to the individual, but also recreational therapy, holistic therapy and the integral counseling and mentoring from individuals that have gone through similar circumstances. This team of individuals will allow the participants at Empower SCI the ability to overcome obstacles that may have seemed insurmountable as an individual living with a spinal cord injury. required), strengthen weak muscle groups. Exposes individual to options for leisure and recreational activities. A Registered Nurse (RN) will be available on call at all times throughout the program duration. The nurse will review your medication list and past medical history upon arrival to the program. It is your responsibility to report any new symptoms, skin breakdown, or medication changes to the RN. Participants must be independent in either taking their own medications or directing staff members and Res Aides to assist with medication administration. Nurses on call are available to provide education specific to your needs and are happy to be a resource for any questions or concerns that may arise. Residential Aide: Assists with all mobility and daily needs that anyone is not able to perform independently throughout the day. 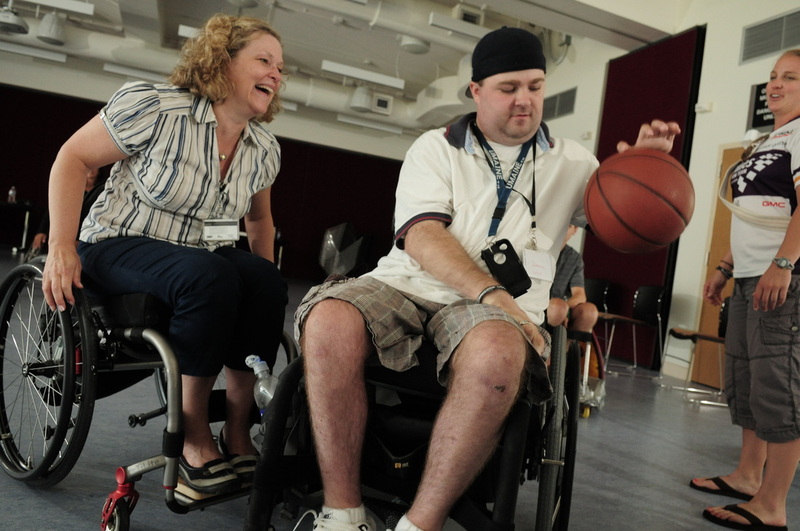 Provides individual the emotional support they need for adjustment to living with a spinal cord injury. Available for both one-on-one sessions as well as group activities. Provides participant with role model of individual living with spinal cord injury that leads a successful, meaningful and happy life. Shares knowledge of tools and knowledge that allow for independent living. Assists with establishing exercise program in gravity minimized pool environment. The participant's alarm clock will go off as early as one needs to work on their morning routine. The Personal Care Attendant (PCA) arrives at planned wake-up time to assist the participant in working towards their Occupational Therapy (OT) and Physical Therapy (PT) goals focused on independent morning routine to include bowel and bladder program, showering, brushing teeth, and possibly hair and make-up for the female participants. 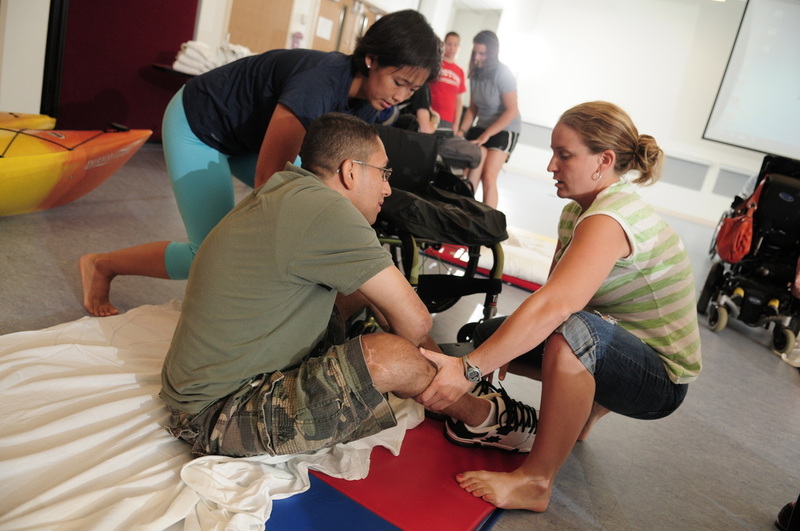 Participants will alternate between appointments to include Physical or Occupational Therapy, Strength and Conditioning, Rehab Counseling and Spinal Cord Injury Education group classes. 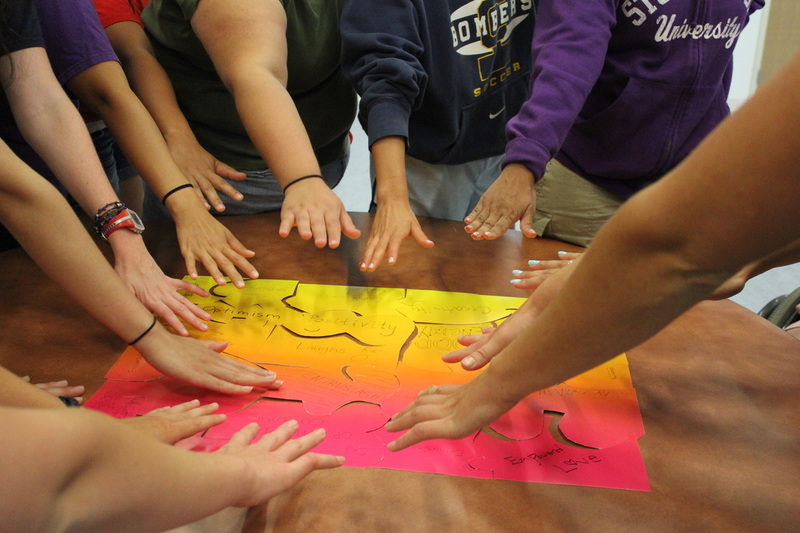 Peer mentors are often at the gym to support and encourage participants and provide advice and helpful tips that have worked for them in the past. Peer mentors will also be leading the Spinal Cord Injury Education series as well as sitting in on the group rehab counseling sessions allowing open discussion for the participants to interact and discuss each topic without judgment. Afternoons will most likely be spent outside while participants are introduced to multiplewheelchair sports and activities. Participants will learn to advance their manual wheelchair mobility while participating in wheelchair sports such as power wheelchair soccer, quad rugby,and other court sports. Other activities to be explored during this time may be hand cycling, kayaking, and wheelchair racing. Participants will have the opportunity to work towards their therapy goals and further functional mobility during aquatic therapy in the afternoon sessions as well. Evenings are usually free for the participant to relax, play cards, or watch a movie with friends. Social events are scheduled for some evenings to include local baseball games, concerts, and dinners out on the town. Evening time is when the majority of the participants will spend time learning from each other and the peer mentors and discussing barriers they are confronted with while living their life after their injury.The PM Residential Aide staff will be available to assist participants with their night time routine if required. Three meals are provided throughout the day. Meal time allows participants to work towards goals to include meal preparation and independent feeding to further one’s independence. A Residential Aide is always available to assist participants in working towards these goals. Aside from working on goals, meal times are often a time for participants to develop relationships with each other, peer mentors and staff. Weekends are spent participating in scheduled, however optional, social and recreational events that can last anywhere from one hour to a full day. Traditional therapies are put on hold, however participants continue to work on their personal and therapeutic goals towards independence during their morning and night routines, as well as meals and community reintegration outings.